Could Detroit be getting another RSN? This week, the Ilitch family, who own the Detroit Tigers and Red Wings, announced they were “exploring the creation” of a new RSN in Detroit that would air Tigers and Red Wings games once the teams’ rights contracts with Fox Sports Detroit came to a close. The waters are muddy as to when the Tigers’ and Red Wings’ TV deals with Fox Sports Detroit expire. 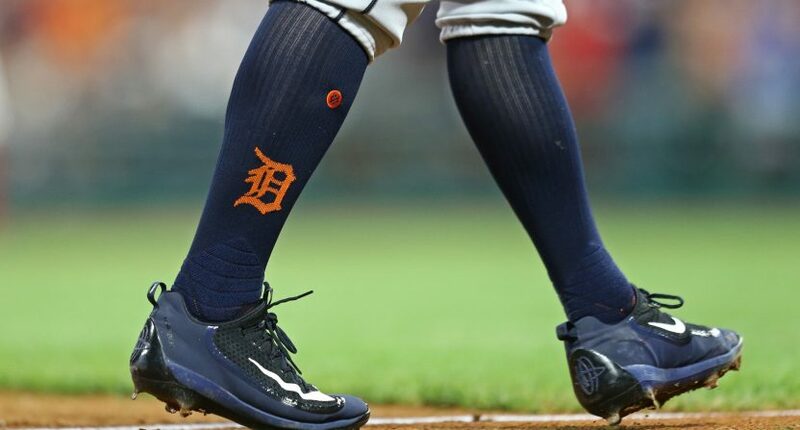 A 2015 article from Crains claims the Tigers deal expires in 2018, but an article this week from The Detroit News claims that the deals “expire early next decade,” which seems to indicate that a short-term extension was reached between the teams and Fox Sports Detroit in recent years. As for the Pistons, another team airing on Fox Sports Detroit (but who lack ownership from the Ilitch family), The Detroit News called their inclusion in the future “plausible,” though also noted their contract with Fox Sports Detroit runs longer than either the MLB or NHL team. WHAT DOES THIS MEAN? Right now, not a damn thing – the Ilitch family is doing their due diligence, as should any owner who owns two teams in the same market (especially if those teams air on a Fox Sports RSN, in case you wanted to narrow the field down a little more). In addition to the Tigers, Red Wings, and Pistons, Fox Sports Detroit has some Lions coverage (mainly studio), Michigan and Michigan State hockey, and Oakland and Detroit college basketball (along with studio and magazine shows for the Tigers, Red Wings, Pistons, Michigan, and Michigan State). I have my doubts that the network could survive without the Red Wings and Tigers, but one option for the Ilitch family could be to simply buy Fox Sports Detroit (given that Disney was considering selling the Fox RSNs piecemeal, based on the market) and rebranding it. Of course, that’ll cost a hefty chunk of change – the value of each RSN hasn’t been reported, but the whole bundle of them reportedly has been valued at around $22 billion. Given the size of the Detroit market, and the estimated value of YES at close to $4 billion, maybe estimate Fox Sports Detroit at $2 billion. And while paying that much for the network would be a bitter pill to swallow, would it be more difficult to do that, or to set up the new RSN’s infrastructure from scratch, hire an entirely new staff of employees (both on air and off), and negotiate carriage deals with all of the cable and satellite providers in the area? Then again, this whole discussion may be moot – the “new Fox” could just buy all of the RSNs back, meaning that the Ilitches’ plan of starting their own network from scratch would have to start at the ground floor instead of from a rebranded Fox Sports Detroit. Starting an RSN from scratch is no easy feat – just look at the saga of CSN Houston, which lasted just two years after the Astros and Rockets broke off of Fox Sports Southwest, eventually turning into Root Sports Southwest (and now, AT&T SportsNet Southwest). Or look at Los Angeles, where SportsNet LA has been live for nearly five years and *still* doesn’t have carriage on DirecTV, among other providers? Having both the Tigers and Red Wings as draws will make things substantially easier for the Ilitches if they do decide to launch a new RSN, but a potential launch still won’t be a cakewalk. We often talk about the sports rights bubble and when it will burst, and the situations we’ve seen unfold in Houston and Los Angeles should give the Ilitches pause. If an RSN is successfully able to launch and gain widespread carriage, it can bring oodles of cash to the owners and teams involved. If it doesn’t gain widespread carriage…well, it could end up as a complete money sink and be a disaster for everyone. Sometimes, it’s better to be in bed with the devil you know than the devil you don’t.